At Colchester Dental Implant Centre, our dentists care for your broken, crooked, damaged or missing teeth problems. The treatment involves replacing one or more teeth with artificial ones that gives you a natural feeling. You can talk freely, eat your favorite food and smile with confidence. 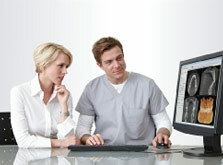 overview of routine dental implant treatments. Boost your self-confidence – You can eat, chew and speak with confidence with life-changing results. Enhance your overall appearance – They look like the natural teeth which help you improve your appearance. Fit perfectly with your original teeth – Implants are artificial teeth that will fit perfectly with the original ones. Look like the natural ones – Give the feel of natural teeth even when you replace them with artificial ones. 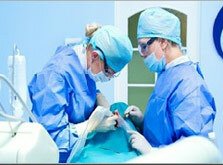 Better oral health – They will not affect health of your adjacent teeth. As such, you can enjoy better oral health. 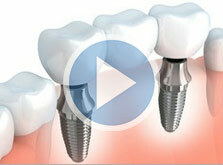 To fit dental implants titanium screws are placed directly into the jawbone for replacing your missing teeth. The abutments or screws are attached to provide a base for your replaced teeth or support a complete set of dentures. Your implant dentist will match the new teeth with the shape, size and color of your natural ones to ensure that they look and feel the same. Replace a single tooth – This option can replace your natural single tooth and its root without affecting other teeth. Replace many teeth – Bridges can be fitted for replacing two or more teeth and their roots. This will lessen the need of using partial dentures. Replace all the teeth – Implants can be used for supporting a bridge or denture to replace all your teeth and some of their roots. 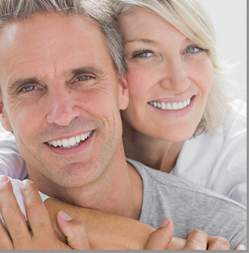 The process is more secure and comfortable when compared to traditional bridges or dentures. Take proper care of your new set of teeth and allow them to last for a lifetime.